Getting on stages that define your brand and position you as an authority is one of the most powerful ways to grow your business. I believe it is one of the best ways because it changes the way prospects see you. The perception is you have influence and status. Years back, I can remember going to conferences and looking at the speakers on stage sharing their message and wondering ‘how did they get there?’ I hired some of those speakers to help me with my business because their message changed me on the inside. I looked to them as my trusted advisors. My curiosity about getting on stages became an obsession. I wanted to get on stages to share my message. Instead of figuring it out using the DIY approach, I hired a coach to show me the path and began speaking locally at networking events. It worked. In fact, I got more clients from speaking than I got from other strategies. Over the last five years, I have spoken more than 100 times and the benefit has been an increase in my influence and acceleration to my authority. Have you ever submitted your talk in a “call for speakers?” It involves some level of research and compiling your history into a package filled out in the online form. You complete the fields with excitement and then you wait. You wait and wait so more. If you are lucky you hear back on your submission, but for most people this is more frustration than success. You might have tried other strategies by staring to speak at local events. These are great practice events. 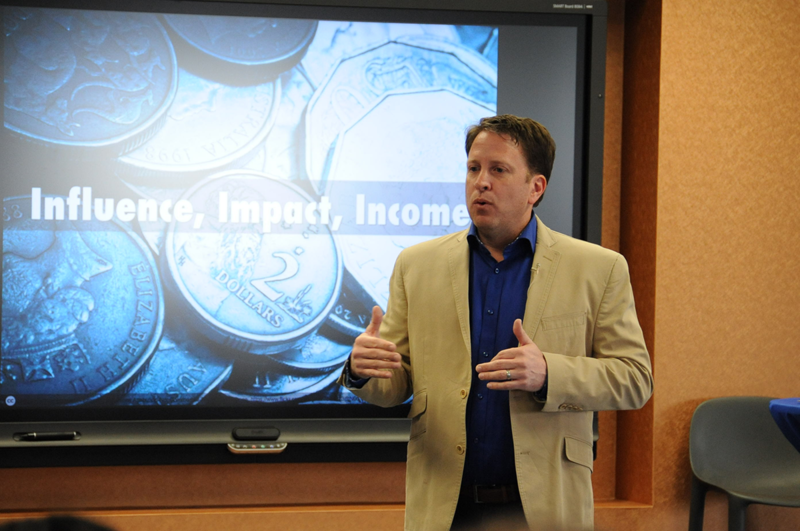 My first 10 or so speeches were all local events, but I found that my ideal clients were not at those events. This too can be very frustrating too. If you have spoken locally, you are likely feeling the need to find bigger opportunities. I feel your pain if you have taken the journey of speaking for your business…most of it is try and see what works. If you have researched videos and books on the topic, you will find a variety of people sharing their experience. I have found that most of what is shared is older ways that just aren’t as effective now. That is one reason why I write this for you. It is uncommon to have empathy in business. Empathy is hard. Really hard. It takes intention and some level of experience too. Reading this will help you raise your empathy. Recently, I began a project diving deep into the mind of the event planner with 59 interviews to see why they selected the speakers they did. I was surprised about how I was dead wrong about one common strategy for booking speaking engagements (which I will share with you below when I talk about sending “pitch” emails). You can get a easy view of the 10 factors that drive speaker selection. It lists the most important (and least important) factors to help you understand speaker selection. Download the cheatsheet. Here are 3 reasons why you are not selected for speaking straight from my conversations with event planners at some the largest conferences in the world. Speaking is about relationships. Period. If you don’t get this you will never make it. Event planners love to invite the experts that they personally know and have seen on the stage. It is a risk thing. When they know you, it is the safe choice. They do select people that they don’t know; however, the preference is to know their speakers at a personal level. Relationships are the key to you getting on stages. And you must establish and nurture those relationships every chance you get. It does take time to get to know those right people. Don’t forget the 2nd level introductions. If the event planner does not know an expert for a given topic, they will reach out to those in their personal network for referrals. Who is in your corner sharing your expertise to the meeting planners where you want to speak? Event planners get hundreds of submissions for as few as one opportunity on stage. This was news to me, but it is rare that they actually consider those that send in unsolicited pitch emails. I put that in “bold” so that you will read it over and over. The standard PITCH email has been around since the advent of Public Relations (PR) is not working the way it is intended to. This is what most people do to get attention. It is the typical tool used with the cold or unsolicited emails. Consider this…when you receive an email from a stranger that is all about them, it may not seem like a big deal. But assume for a moment that you get 100 of those emails from various people. It will change the way you write emails when you relate to sorting through all of those “I’m awesome” emails. Now let’s look at it from the perspective of the event planners. Try to empathize with their day-to-day work. When they get so many emails that are all about the speaker they start to be all the same. They just don’t stand out. Their first job is to weed out the ones that don’t seem to fit. This is the pet peeve that gets me going. “Blending in” was never the goal. I hope not. It is easy when you look to your peers within your industry to see what others are doing. You get a cookie-cutter approach to business. 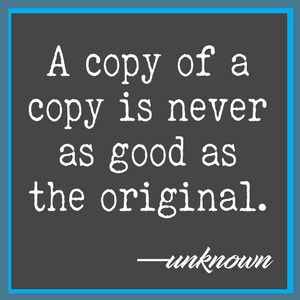 A copy of a copy is never as good as the original. This quote strikes to the heart of many business owners that have followed the lead of their peers. Be careful in what you emulate as it may cause you to seem invisible with your marketing and positioning. We all know the fundamentals of marketing and positioning, but for some reason you forget they apply to you. This includes all the marketing companies out there reading this that do this stuff for others. Seriously, I know first had with dozens and dozens of clients in the marketing space that this is a problem. Here is the deal…event planners get hundreds of submissions. They are asked to select ONE. Well, that means that you have to be THE choice, not just a choice. “THE” choice is the one that has authority positioning and stands out clearly from the others in the sea of suppliers. With a keen understanding of what keeps you from getting selected for speaking on bigger opportunity stages, you can develop a better strategy that allows you to be more effective. If you want to know more about what to do, you can check out this video that will give you more of what the 59 event planners told me about the best ways to be selected for their conferences.